How do I cheer people on? You can send cheers to other students to encourage them with their work. 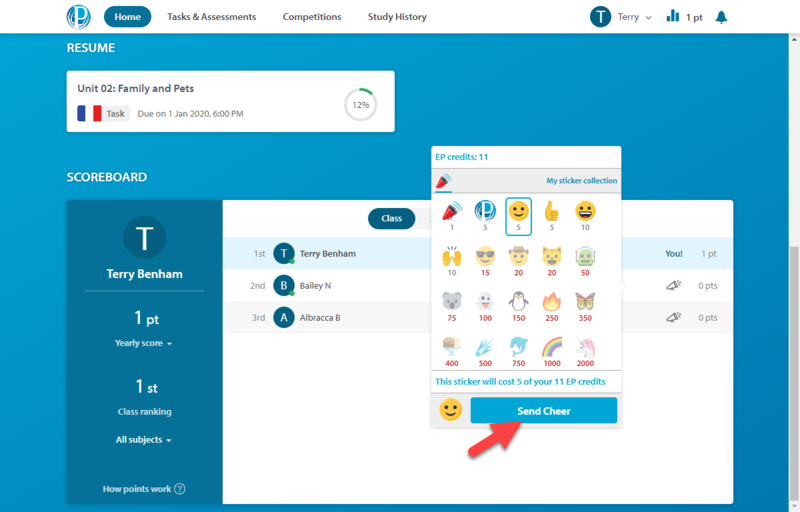 From your Student Dashboard, you can find a scoreboard at the bottom of the page. 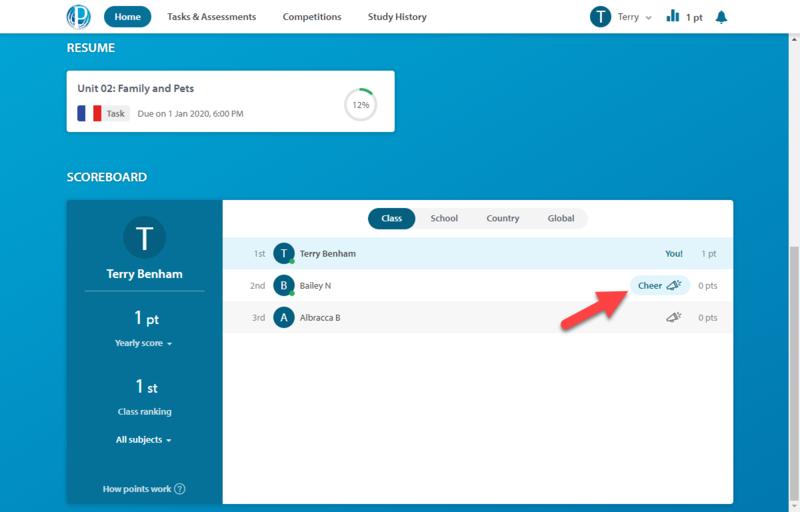 You can select between the Class, School, Country or Global filters to see other students' scores. To cheer someone on, hover over the megaphone button and select Cheer! You will be given the option of selecting one of several stickers. Select the one you would like to send and press Send Cheer. Please note that different stickers cost a different number of EP credits. 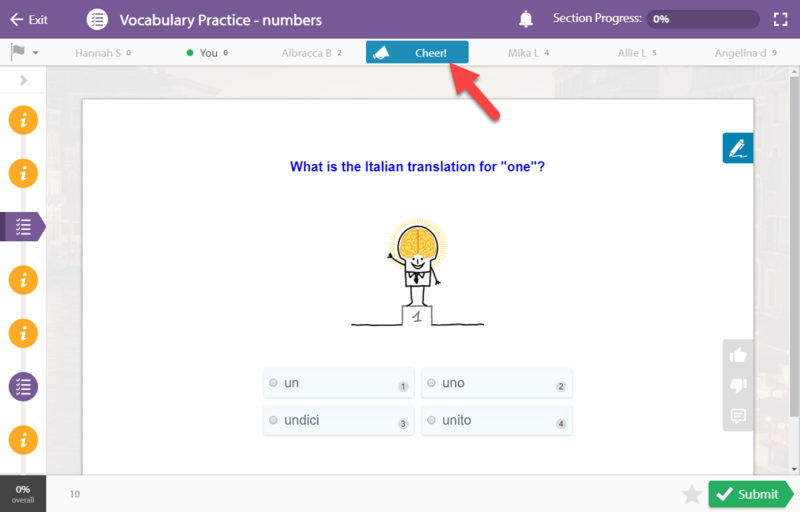 You can earn cheers by completing lists and lessons. 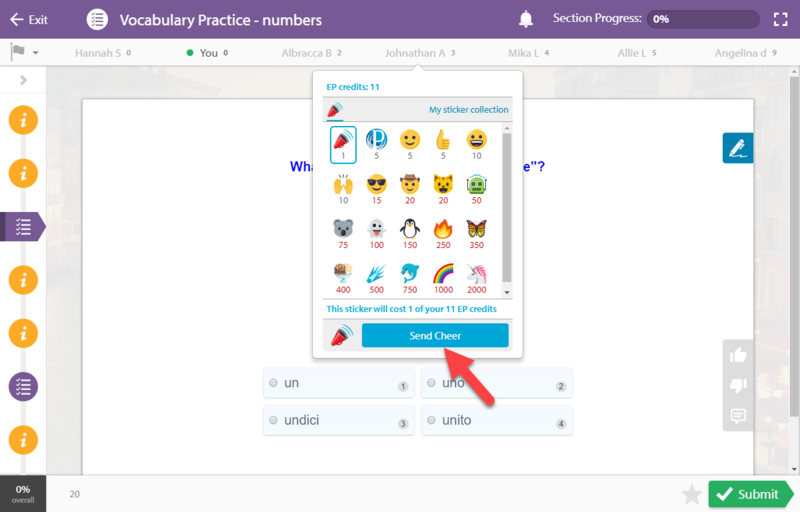 Within lessons, you'll see a number of students listed at the top of the page. You can cheer them on by hovering over their name and selecting the blue Cheer! option. Select a sticker and then click the Send Cheer button. Teachers can choose to prevent students from receiving cheers by disabling them when creating tasks.